← SOLD! Camel Cigarettes Neon Sign – Very Cool! 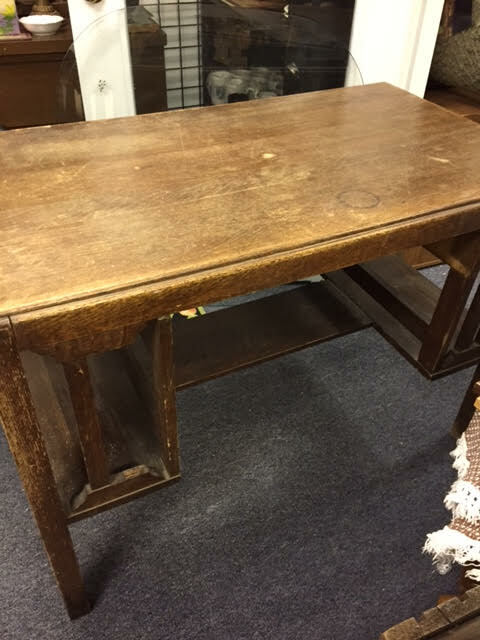 This is a nice sized mission style desk that could use some refinishing. 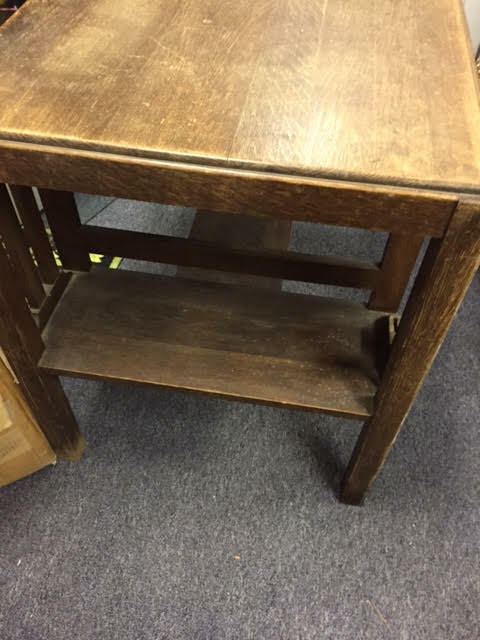 Condition: It’s in pretty good shape, although it’s missing one of the slats on the side.. 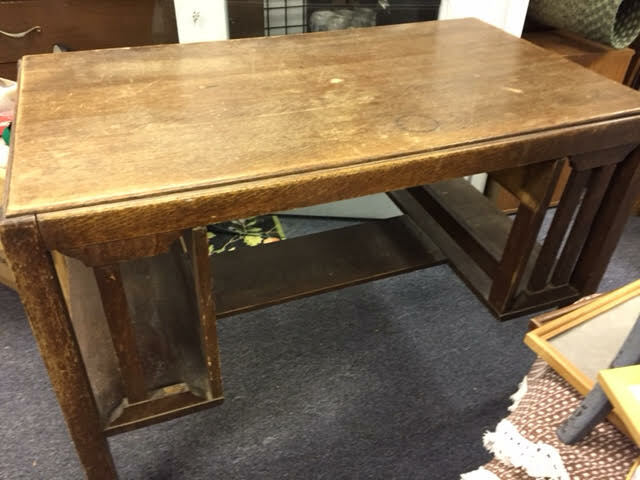 This entry was posted in Furniture - Desks, Marilyn and tagged desk, Heritage Collectibles, mission style desk, project desk, wood desk. Bookmark the permalink.